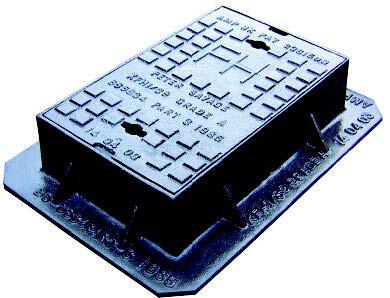 Surface boxes are manufactured from ductile iron to BS 5834 (Grade A loading) making them suitable for use in areas subject to heavy loading but not subject to fast moving through traffic. What do FH, AV, SV, NRV and WO mean on a surface box cover? Covers normally carry an inscription that identifies the pipeline or fitting below and the application. The covers also help prevent the ingress of debris into the hydrant or valve below.